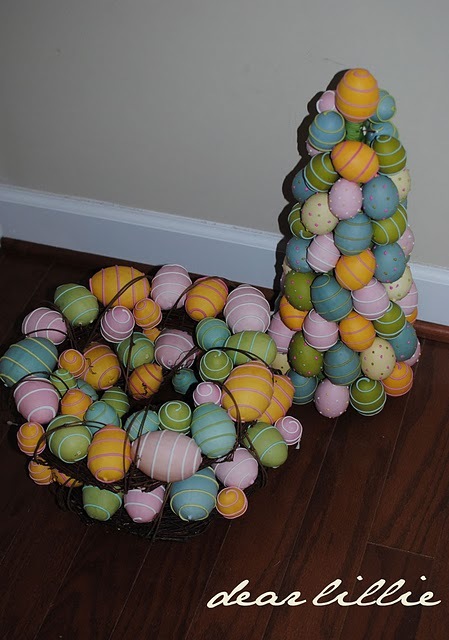 I'm not one to normally decorate the house for Easter. In fact I have nothing up in our house for the holiday right now. 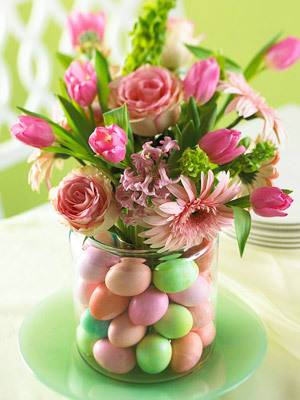 I think it's something about all of the pastels that makes me steer clear. That or the fact that I won't even be home for it this year (we'll be in Kansas City celebrating our 1-year anniversary). Either way, the Reutter household is egg-free. BUT if I was a "let's decorate the house for every holiday!" kind of girl, these are the type of decorations I would approve. All little spray paint and a little moss and you've got something that is Pottery Barn worthy. 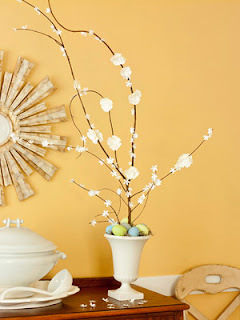 So if you're like me and not a fan of the pastels, don't fret. Just buy some spray paint and get to work! 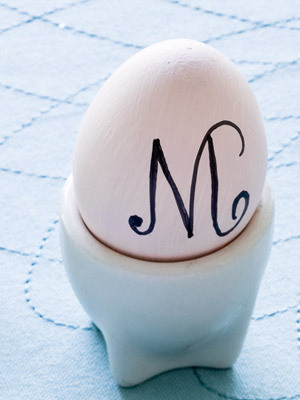 Personalized egg place card...love it! 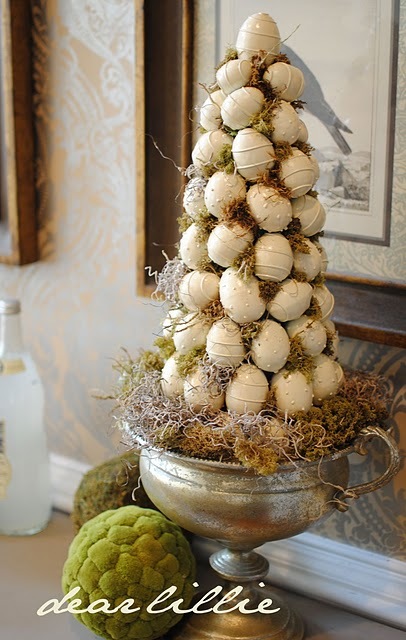 Perhaps if I host an Easter brunch one day, something like this will make an appearance at our house!